Fantastic sour cream,thanks for sharing. Thanks a lot for sharing this simple recipe. hey cream looks awesome..so creamy...perfect..
aha, i like. 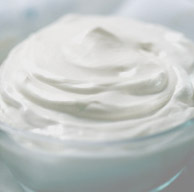 bookmarking, because i've been looking for a homemade sour cream recipe that works!